This article explains how to add new Team Members to specific teams. If you're adding existing Team Members to a team, take a look at Creating and Managing Teams. Adding Team Members is quick and easy. 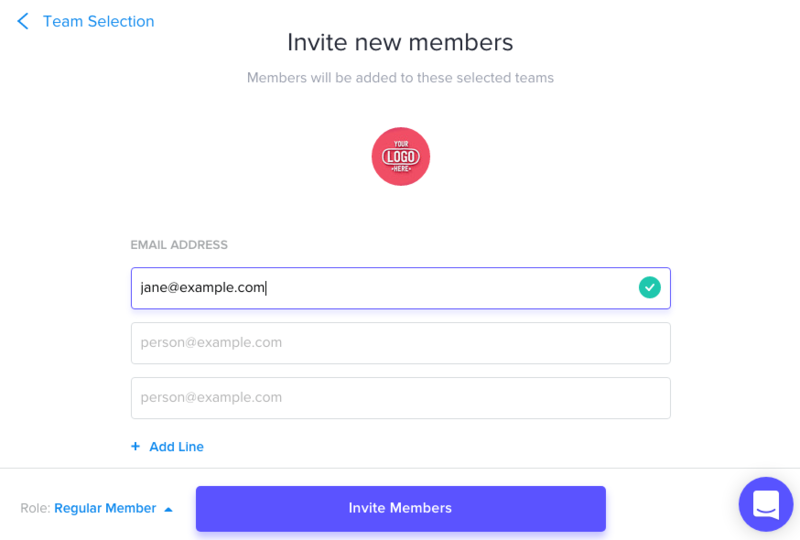 Click Users & Teams, select Invite Users at the top right, then select the team(s) you want to add these users to. You can choose multiple teams for these users or you can select just one and add them to other teams later. Next, enter the email address of each user you wish to invite. Only enter one email address per line. Choose the Role at the bottom left - learn more about roles. Note: If the email address is receiving a red X instead of a green checkmark, try typing the email address instead of copy/pasting. 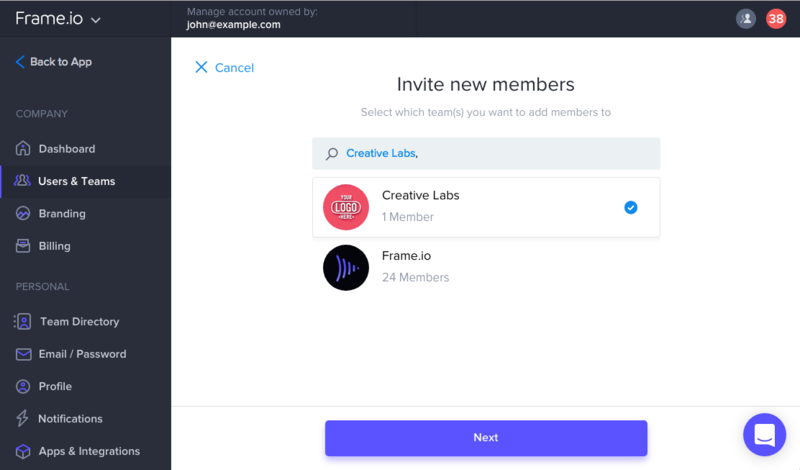 After clicking Invite Members, they will receive email to join the teams. View their progress by Going to User & Teams, click the Users tab and scroll to the bottom. The pending users will show as Invited. To delete a Team Member from the company, go to User & Teams, click the Users tab. Click the user to delete and then select the Delete option at the bottom right. You will receive a confirmation screen to ensure this user should be removed from the company. This does not delete their account, but it removes access from the company and the projects as a Team Member.